Want a £100 Amazon Gift Card for FREE? 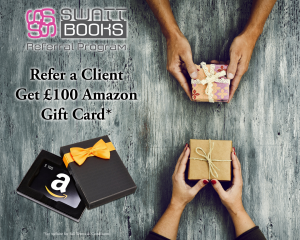 With the SWATT Books Referral Program, for every referral you give to me who signs up for a design & publishing package, I will give you a £100 Amazon.co.uk Gift Card. PLUS, I will give your referee £100 off their package!!! 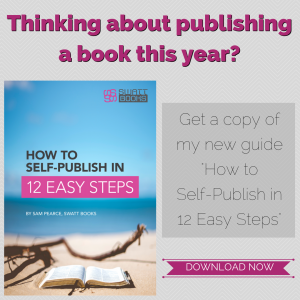 So if you know someone who is writing a book, send them to my Publishing page for more information on how I can help them make their dream of becoming a published author a reality. 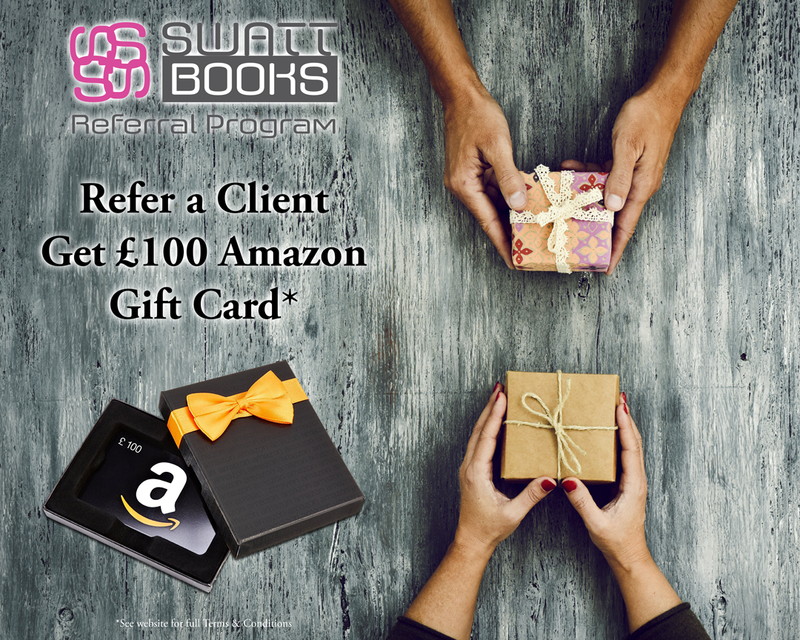 To qualify, simply send an email to sam@swatt-books.co.uk with your name, email address, and contact telephone number, as well as your referrals name, email address, and contact telephone number. If your referral signs up to an all inclusive Design & Publishing packages or a bespoke design & publishing package, I will contact you to arrange delivery of your gift card. It’s that simple! !